A mistake often encountered by amateurs, professionals or even a crewmember may be seen on the shot without anyone readily noticing it. This problem becomes more apparent in a production that does not use a large video assist or if the crewmembers rely on the camera’s LCD screen to review footage. Sometimes, the issue is not too conspicuous on the scene and is only discovered when already editing the movie. To avoid such problems, it is always best to review the footage before moving on to the next shot. Since shooting a movie typically requires different lighting sources, the placement of the lighting equipment can result in multiple or illogical shadows on shots. For instance, the interior scene of a room filmed near a window may clearly show the sun’s rays on a cinematic, diagonal position falling onto one side of the actor. However, when the actor walks towards the other side of the room, the shadow cast doesn’t match the main source of light of the scene, which is expected to come from the sun’s rays. Another common problem is taking a shot from a particular angle where two or more production lights create multiple shadows of the main subject on the scene. Using softer lights can help remove or minimize unlikely shadows in a shot. Choosing the right shooting angle can also prevent illogical shadows falling onto the scene. In videography, dynamic range refers to the ratio between the brightest and darkest parts of the framed scene and how they affect the shot's final look. There are times that productions, especially amateur ones, allow dynamic range problems to affect the intended lighting design for the movie. For instance, the brightest part of the shot may look washed out, but the main subject and the rest of the elements on screen still look too dark. Although there are some lighting and blocking options that can help improve this issue, sometimes the only solution is to shoot on another location or use a better camera for the shoot. Elementary science clearly states that “white reflects light.” In line with this, filming on white can become a problem when it unintentionally reflects the light used to illuminate the scene. If most of the elements on screen are colored white or if using a plain white background, lack of skill using the camera and lighting resources may result in overexposure. It may also cause a “heaven-like look” on the scene where there seems to be a hazy texture seen on the footage. If an actor wearing a white shirt and pants is required to enter and exit frame during the take, it is also possible that he becomes a walking reflector, which means that he reflects light towards the camera while passing by. A reflector is a popularly used piece of white board meant for bouncing light towards an actor’s face for better illumination. If white elements are really needed in the scene, ensure that the shot is properly exposed through the right camera exposure settings. Amateur and documentary filmmakers who often use the camera for handheld shots usually encounter shaky camera problems. Since the camera’s LCD screen only shows the footage from a very small playback monitor, the shots may first appear stable. However, when played on a TV or computer screen, they end up looking so shaky that people get dizzy watching them. One of the most practical solutions to avoid jerky camera movements when shooting handheld is by placing the camera on a folded tripod or monopod and then holding it within a secured height as the camera is being framed for the shot. A focus problem is a common issue that both new and veteran filmmakers typically encounter in a shoot. Depending on the camera and lens used, a shot may end up focusing on the wrong element on screen. This becomes a more serious problem when using a long lens, which generally requires focusing on the main subject, because then the other parts of the shot are rendered out of focus. When the main subject or the camera moves during a take, the focus changes because the camera's lens is only set to focus at a particular distance. In such case, the camera crew should be very keen on adjusting the focus of the camera. When shooting with live sound and the recorded audio is intended to be used for the film’s final edit, the noise encountered in the live set are often ignored by filmmakers for the benefit of good visuals. By the end of the production, they end up recording in a studio to replace the bad audio. Another common live sound problem encountered in a shoot is using the wrong audio settings that don't match the camera's video settings. The sound elements may become out of sync when played together with the video footage. To ensure the quality of the live sound material, it is important to confirm the right settings of all equipment used. Providing instructions to actors and crew in advance before the camera rolls also helps avoid sound problems. Using a slate or clapperboard saves the project a significant amount of time during editing. Yet, the production rushing the shoot usually overlooks this process, which becomes a problem when the movie is already at the post-production stage. With the many shots and takes done when filming, the editor needs to identify each shot through the shot ID coming from the slate or clapperboard. This makes it possible to readily determine where in the edit the said shot should appear. The editor also uses the “clapping” sound and visuals coming from the clapperboard to sync the audio and visuals when these elements are recorded separately — the audio using sound recording equipment and the visuals using a camera. When the production ignores the use of a log sheet when shooting, more time is often wasted during post-production. The log sheet is where notes and remarks about each shot are placed. It provides important information like which takes are “good” or “bad.” This makes it easier for the editor to know which take to use for the scene. Notes mentioning the continuity of the color of the lipstick used by the actress or the shirt worn by an actor for a particular shot also help the production when the filming continues on another day. Many camera-related issues can affect the footage when the production overlooks any particular camera setting prior to filming. For instance, the exposure and color settings of the camera for the first shooting day may provide the ideal color scheme intended for the movie. For the second shooting day the production uses different settings, which make the visual look of the footage shot on the two separate days different from each other. 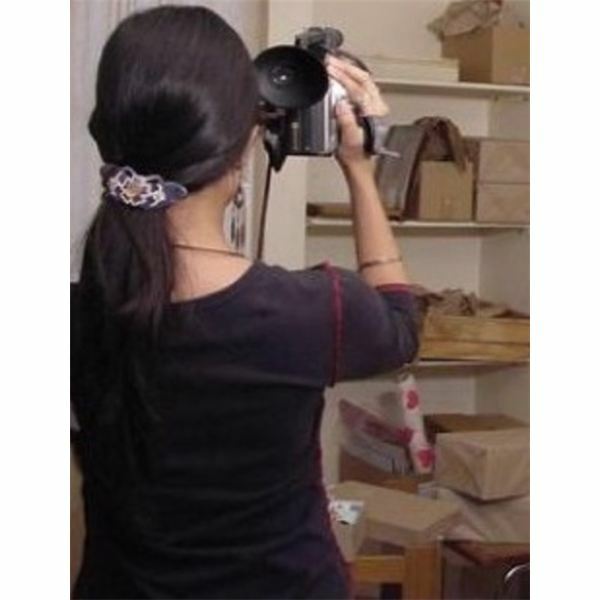 Impose careful planning and confirmation of the camera settings to use before starting the shoot to prevent such problems.